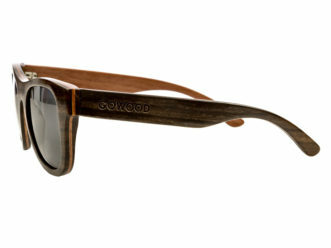 The ever popular Los Angeles line of wood wayfarer sunglasses is the best selling line of Go Wood. 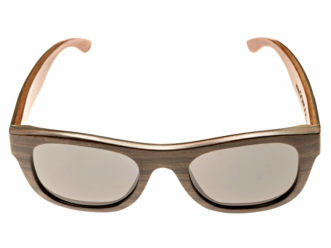 The timeless frame fits both men and women and naturally matches with many face shapes. This is the 6th variation of this line. 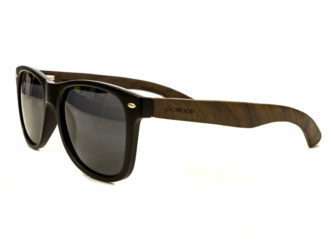 Everybody loves the classic wayfarer frame combined with the beautiful darker grainy walnut wood legs. 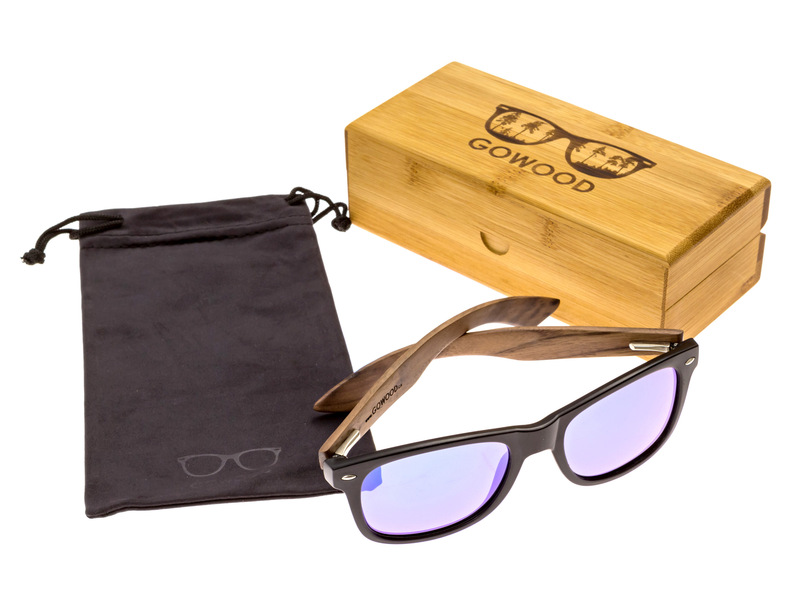 While some other wood sunglasses brands feel fragile, have plastic hinges, pinch behind the ears or simply break after only a few uses, Go Wood walnut wood wayfarer sunglasses are designed to eliminate all those problems. 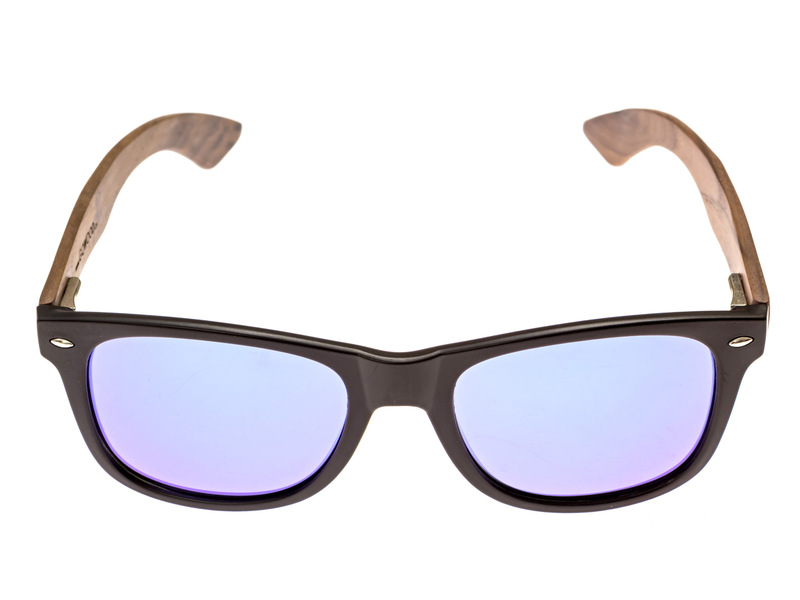 The wood temples fold perfectly over each other both ways, the ear pieces are rounded and do not pinch and the hinges are made of metal and are outward flexible. 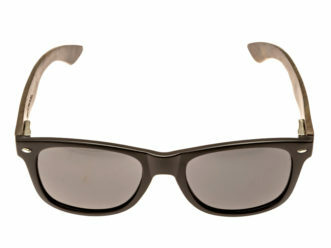 This means the sunglasses feel solid, last longer and are more comfortable. 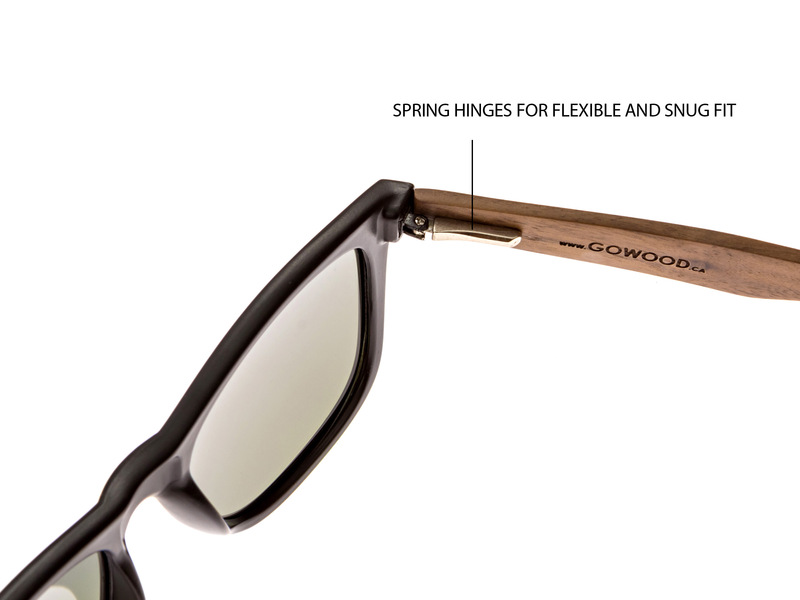 Full protection against the sun: no more squinting your eyes, because Go Wood wayfarer sunglasses are equipped with polarized thermal cured TAC plastic lenses, which provide a clear vision and protect against glare and UV radiation. 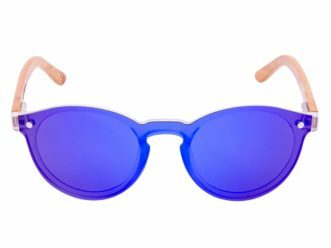 They are also treated with an anti-reflective coating and are designed to withstand accidental impacts and are therefore FDA approved. 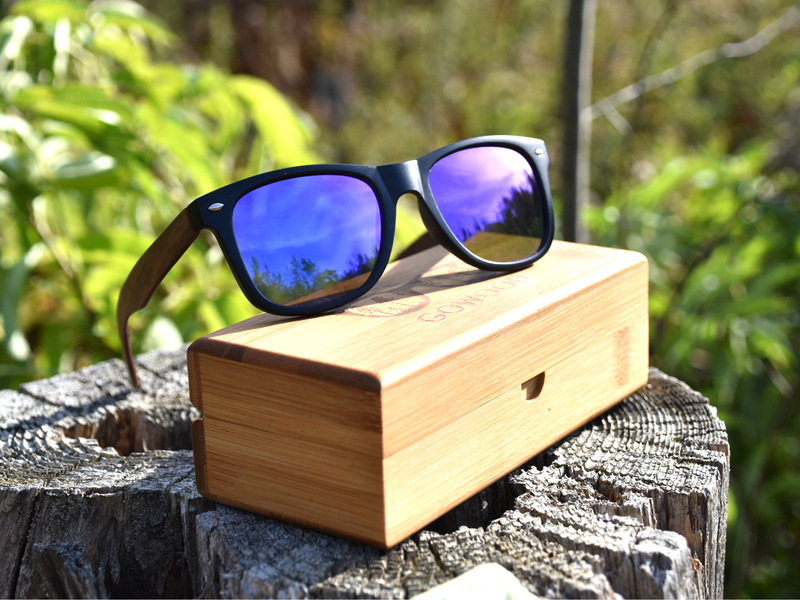 Your sunglasses come with a bamboo wood box and a high quality microfiber pouch that can be used to store and clean your lenses. Forget about a 5 x 5 cm thin cloth that you can throw away after 10 uses. 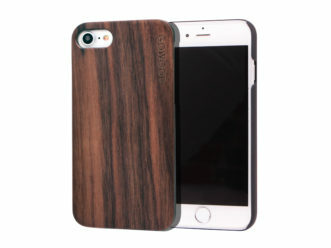 We provide the right accessories to make sure your purchase will stay good for a long time to come. 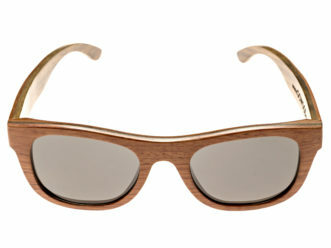 Hop on the trend and look at your best with these beautiful walnut wayfarer wood sunglasses. 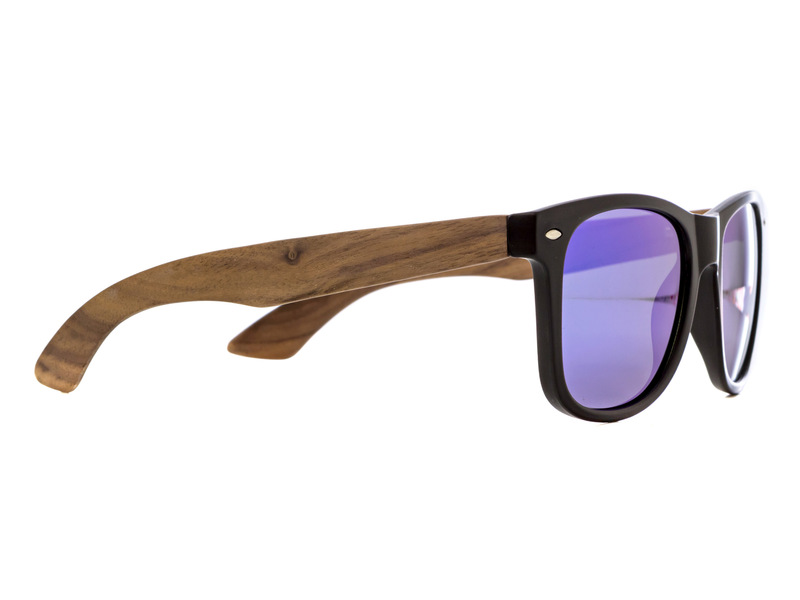 Wooden sunglasses have been hot for some time now, but the darker natural walnut wood is by far the most popular style at the moment. 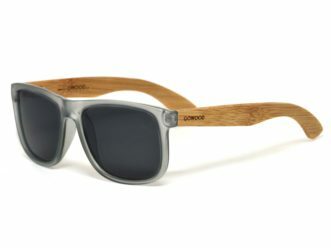 Each pair has its own unique wood grain and everybody just loves the darker natural wood. 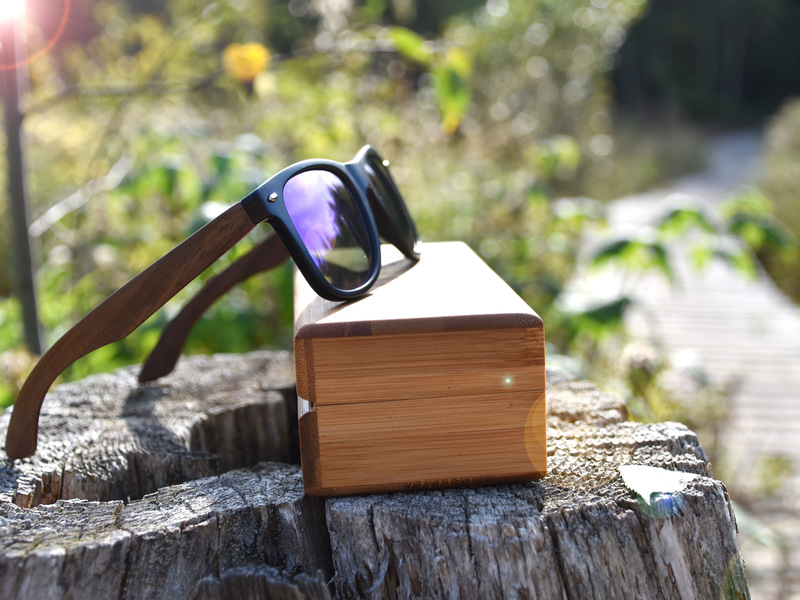 You will look at your best and everybody will tell you how cool your wood sunglasses are. 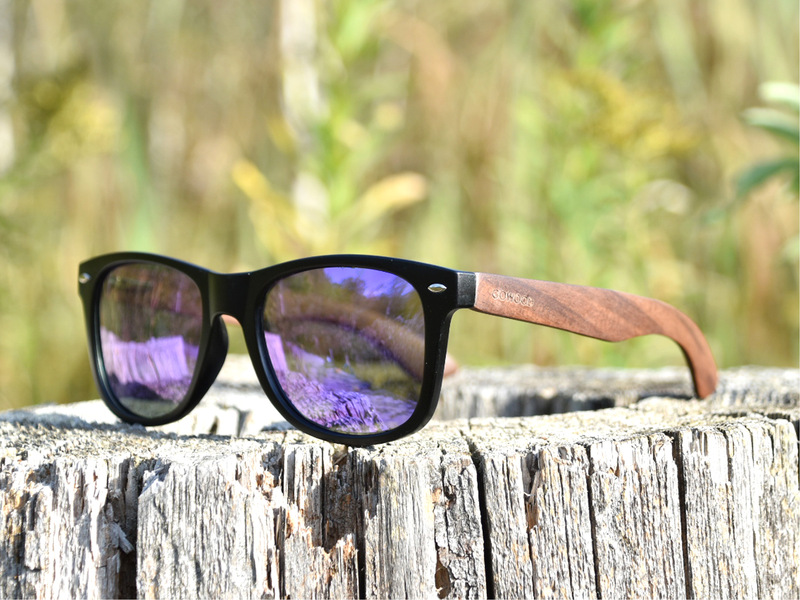 We believe that whether you are an outdoor lover and go hiking/fishing regularly, or have a busy job and need to be dressed top notch every day; your sunglasses should protect your eyes and compliment your style at the same time, no matter what. 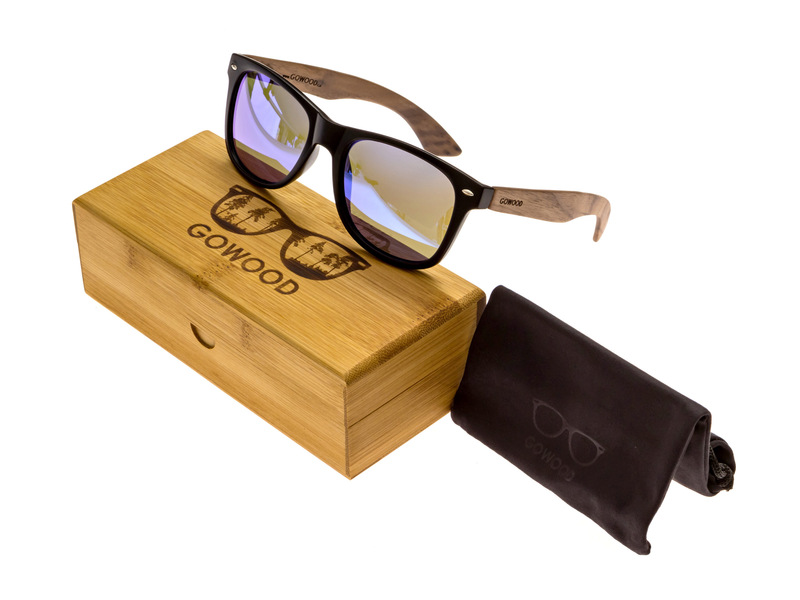 You can count on Go Wood sunglasses to do exactly that. We want you to be happy with your purchase! 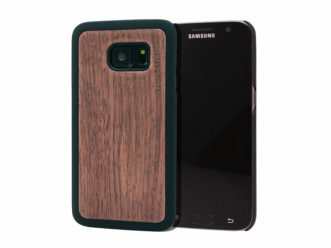 All customers have 90 days warranty on their purchase. Experiencing an issue? Never hesitate to contact us. 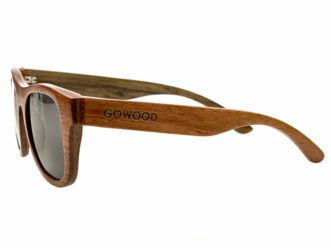 We are real people behind the Go Wood brand. Real Canadians serving real Canadian customers. 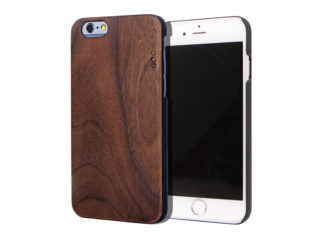 We stand by our products and you can rely on an exceptional customer experience. Our mission is to make each and every customer a happy customer. Not sure if this model is for you? 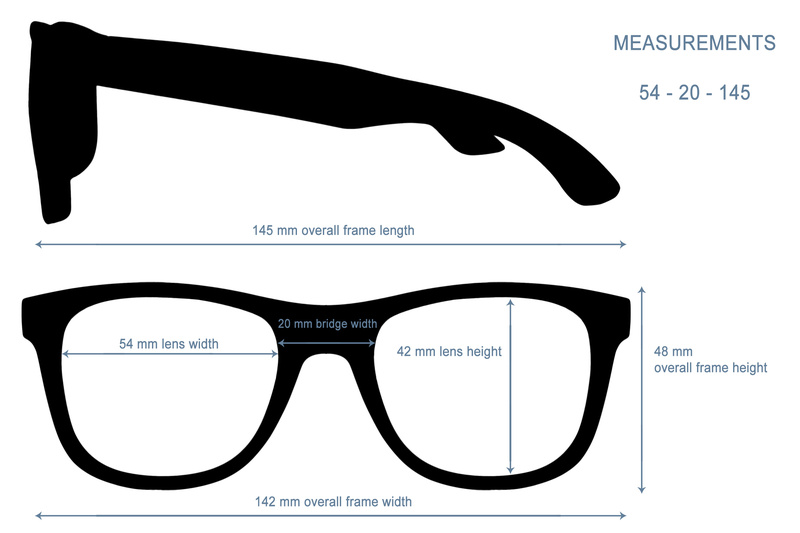 Check out all photos above, the last photo will contain the size of the sunglasses, so you can better assess if this model will fit you. And of course we offer a no-nonsense easy return policy. If you don’t like them, just return them to get your money back! 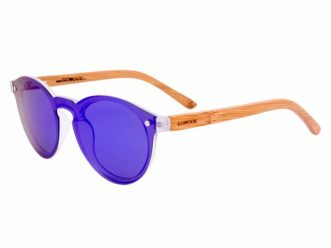 Please note, this model is also available with bamboo legs with blue mirrored polarized lenses or walnut legs and polarized dark grey lenses. 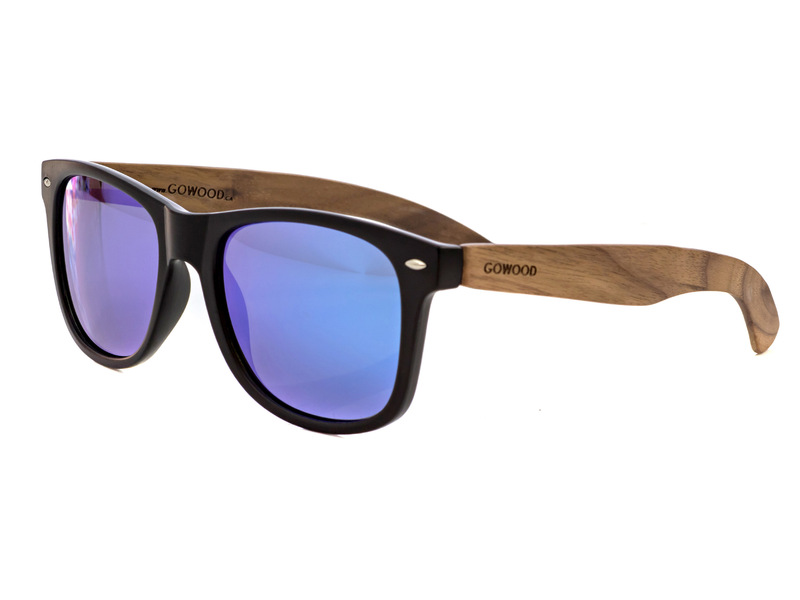 These sunglasses are GREAT! 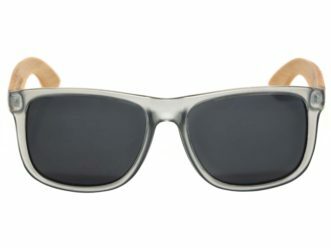 They have been great while driving because they are polarized (no more squinting), they fit snug but not too tight, they are very light, and they look great. My wife now wants me to buy a pair for her :).